This beautifully updated 2 bedroom, 2 full bath condo has had an amazing makeover, starting with sophisticated, laminate, wood flooring in the living room and down the hallway. Carpeting has been replaced in both bedrooms. Kitchen cabinets have been professionally painted as well as a faux finish applied to the counter tops to look just like granite. Both bathrooms have been updated with new vanities, mirrors, & lighting. Main floor laundry hasn't been missed either with new flooring and fresh paint. There are all new light fixtures with each room freshly painted soft shades of gray plus new, white, wood blinds adorn the windows, including the big, bay window in the dining area. Attached 1-car garage is a big feature to feel secure, plus it has access to the attic for storage. 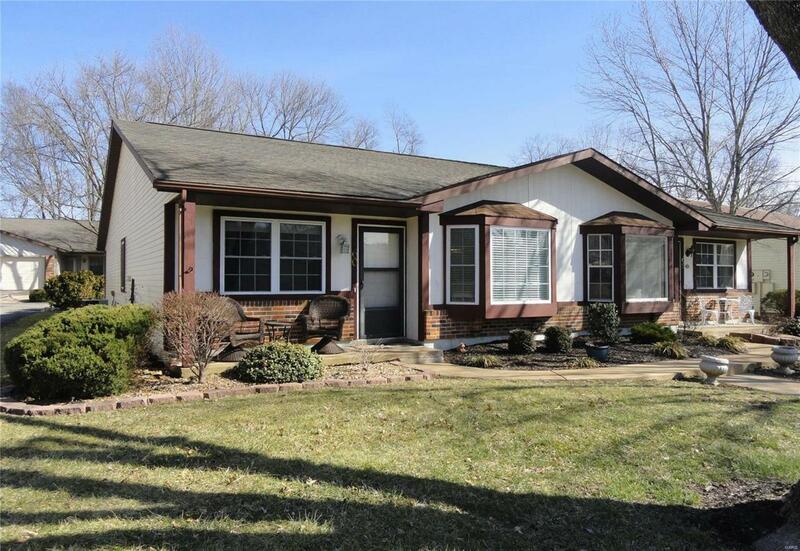 Located in this established neighborhood with lovely, mature trees, it is close to just about everything. Listing provided courtesy of Berkshire Hathaway Alliance. Listing information © 2019 Mid America Regional Information Systems, Inc.